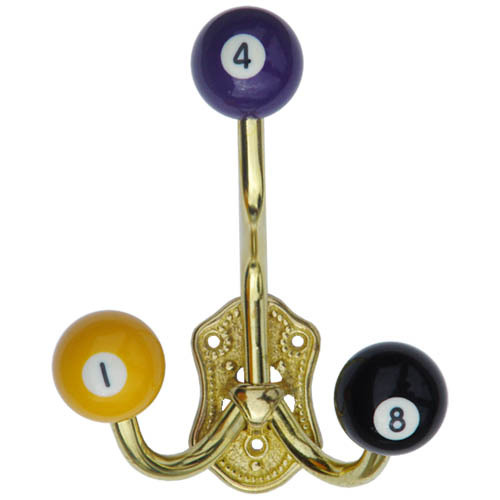 This sturdy, solid brass coat hook features three pool balls, each 1-1/2" in diameter, on brass rods embedded in a brass decorative shield. 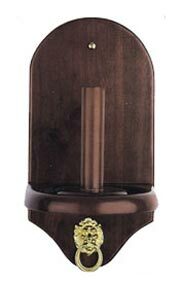 It comes with three brass screws for easy mounting to a wall, door, or elsewhere. It measures 6-1/2" high by 5-1/2" wide. 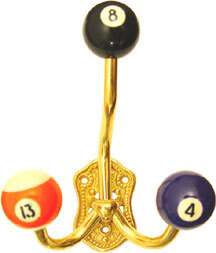 Add a touch of class to your gameroom!